When it comes to moving a house, one of the most challenging things to be able to sort out is when exactly you’re going to sort out all your furniture removals in Plaistow, E13. The little stuff is easy, you know, the small removals that you can simply throw into your car boot and drive off, however trying to move your beds and sofas is quite tricky! Our movers in E13 area are personally experienced in all types of removals services and ensure speed and discretion as our top priority to be able to make your big day when you move, stress- free and seamless. Moving Service has been in the removal business for over 10 years and we are experienced in fulfilling all types of requirements, so be sure to give us a call on 020 8746 4402 and let one of our representatives guide you through the best options we have available. The area is in East London in the Borough of Newham, and is around 7 miles East of Charing Cross with the postcode of E13. 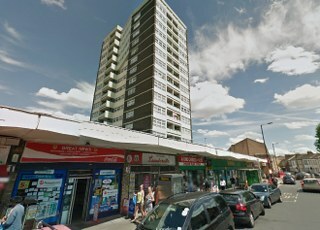 It is a residential area with several council estates and the main roads that run through it are the A112, Prince Regent Road as well as A124 Barking Road. The nearest places are Canning Town, East Ham, Stratford, Forest Gate, Upton Park, Custom House, and West Ham. Transport links are excellent when it comes to this are as it is mainly served by the District Line and the nearest stations are Plaistow, East Ham, Canning Town (DLR), Stratford Intl, Royal Victoria (DLR) as well as Upton Park tube stations. The area is also served by the Hammersmith and City Line service and is based in Zone 3, making the journey from Tower Hill around 20 minutes. Apart from news agents, off licences and as well as post offices, the area has houses and apartment blocks. Large shopping centres are found in places such as Stratford for Westfield or Green Street. Many international England footballers such as Saul Campbell were born here. How many times have you just had furniture in the house and nothing has really worked for you. You may have even stuck it outside in the garden and then you remembered you are moving a house and you need to shift it as well! We are glad to be able to help with all our expert removal experience that we have. Our removals business in London means that we know the Plaistow, E13 area as well as all the other surrounding East London areas properly, to ensure that no extra time is wasted in your journey when you move. With a fast turnaround time, you can often book with us a few days before and we are able to accommodate you and your family. Our man with a van service means that we can be there at a moment’s notice and you get to enjoy all the professional service that comes with a removal company. Our affordable removal rates in Plaistow mean that you won’t be out of budget and you will be able to relax when it comes to your move. Moving Service prides itself on stellar service so for more information, please call us on 020 8746 4402 to speak to one of our customer service advisers.